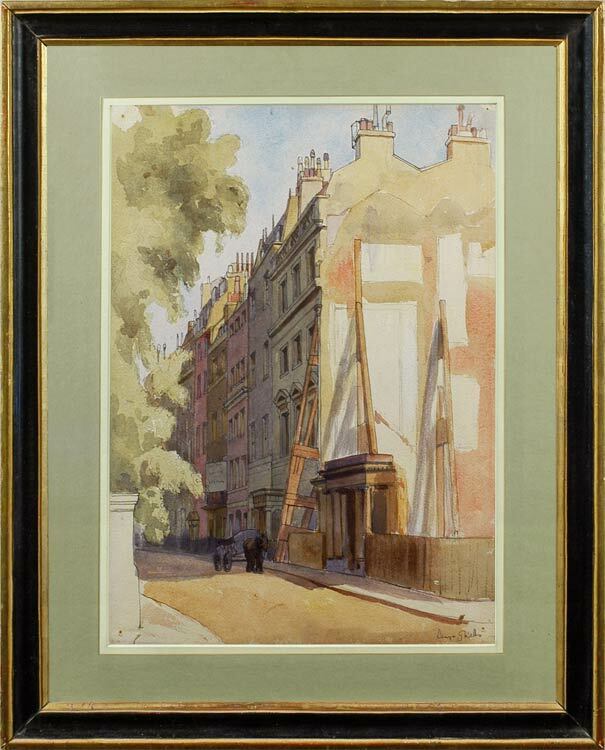 An archetypal instance of Wells’s paintings of London showing the damage sustained during the Blitz, this watercolour records the patching-up process in a quiet residential street. Props stabilize the once-shared wall of a terraced house, the building this side of which has been demolished, leaving only its portico standing. A horse and cart, possibly belonging to a rag-&-bone man, underlines the sense that life is being cleared up and returned to order. The observation is acute, and expertly translated in sunny washes of colour.